I’d like to ask about the beginning of development. 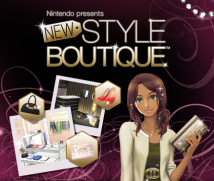 In order to make Nintendo presents: New Style Boutique for the Nintendo 3DS, two completely different cultures — a video game company and a fashion company — made first contact. 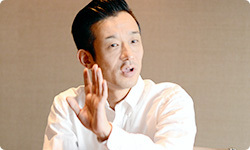 Yamagami-san, what was your impression at that time? Well, from the very first meeting, we actually just had a great time talking about video games. 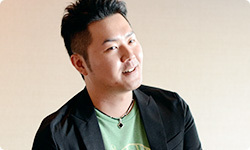 Earlier, we mentioned how Tamura-san introduced some stylists who like video games. Hattori-san, what was your impression of that stylist? We were from different industries, so the culture and conventional wisdom that we each had was different in some ways, but I thought we were the same in the fundamentals. We weren’t very different in our desire to simply make girls happy. Ah, I see. Your medium is different — game developers use video games and stylists use fashion — but you both want to put smiles on girls’ faces. Right. When that stylist said “Isn’t this item nice?” and “How’s this ensemble?” I was like, “Ooh! That’s cute!” (laughs) Of course, our cultures and common sense were different, but we were both geared toward the customer and shared a desire to make everyone happy using fashion, so we never had an ounce of trouble communicating. I suppose you learned a lot from the pros of the fashion world. Yes! There were many times I realised, “Oh, so that’s what fashion’s about!” I learned a lot. How to use accessories and where to put patterns are incredibly small things, but I learned little tricks — like, “Maybe if I use it like this, it will look stylish…” — and that was important. Something important for me was learning about the flow of trends in fashion. When we made the last game, all I could do was buy a bunch of fashion magazines and study the latest info, but this time, I got a grasp on current trends and what is just around the corner before that stuff showed up in magazines. Until then, I saw the fashion world as isolated points, but she connected the dots for me. Before, your only viewpoint was that of a consumer, but she added to that the viewpoint of someone who creates the fashion. Right. I thought that was a viewpoint we definitely couldn’t achieve on our own. I thought, “I always wanted this kind of information,” and was deeply moved. You had a hard time in coordinating them. Twice as much all at once?! Our president really loves fashion. If he didn’t love fashion so much, I suppose Style Boutique wouldn’t have come about. Yeah. That’s why he wanted to increase the number of fashion items, but we still weren’t sure about 20,000, and eventually made 12,000. That’s still quite a lot. Yes. We really kept at making them. I wonder if they gain the approval of pros like Tsujii-san. Since there are so many, wasn’t it hard checking them all? So that’s how we got feedback. In this game, the player becomes the manager of a boutique and suggests outfits to customers based on their requests, but the number of combinations with around 12,000 items is practically infinite, and the game has to decide what works and what doesn’t. But that involves subjective differences, so it must be difficult. How did you make it? We went through a lot of trial-and-error, and the flow chart (extends arms) turned out this long! And we redid it twice! That’s one reason development took so long!